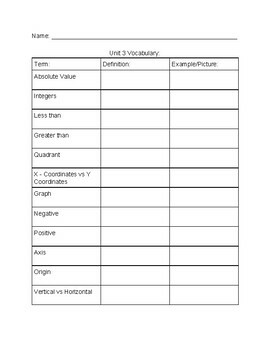 This resource is great for students who struggle with main content vocabulary. 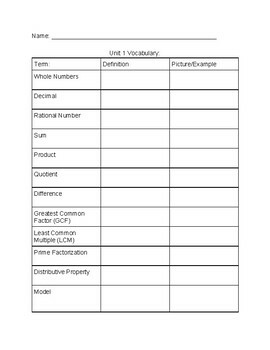 It goes in Math 6 State Standards order, and it has spiral review at the end. 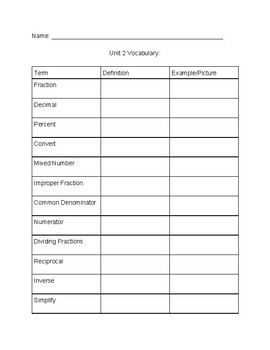 This resource gives the word but has students fill out both the example and definition for each unit. 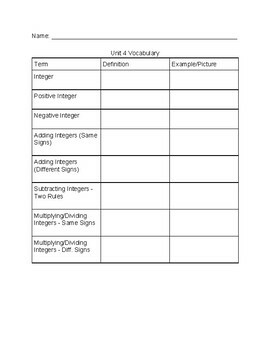 You can use weekly or bi weekly.